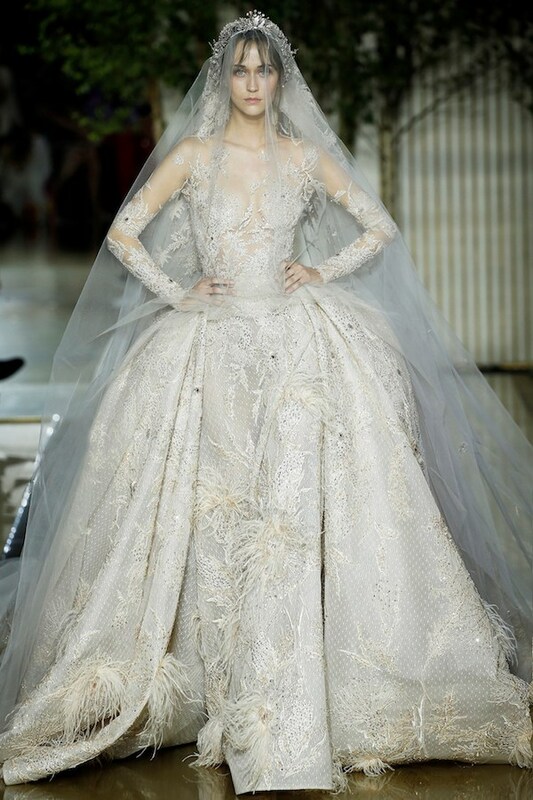 I've said it before, I'll say it again Zuhair Murad is a master at crafting pure magic. This Fall 2017 season he created an elegant and timeless collection based on Charles Dana Gibson's famous Gibson Girl illustrations. She is statuesque, her waist is narrow and her head is carried high: a key figure of the late 19th century, she is a much a beauty ideal as a symbol of modernity and empowerment. 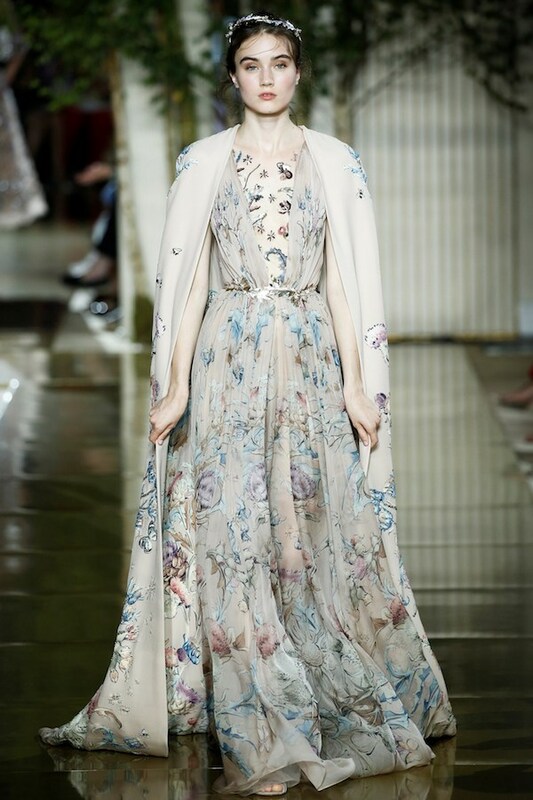 His grasp on the duality between strength and delicacy is clear where sweeping floor length skirts are contrasted by plunging backlines. 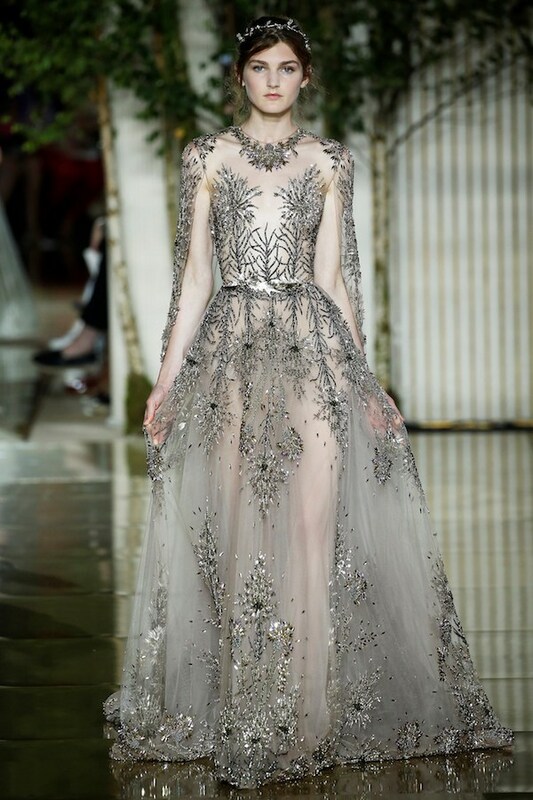 It's ornamental in gracious allure with lines, fabrics and features that dress the body in motion. 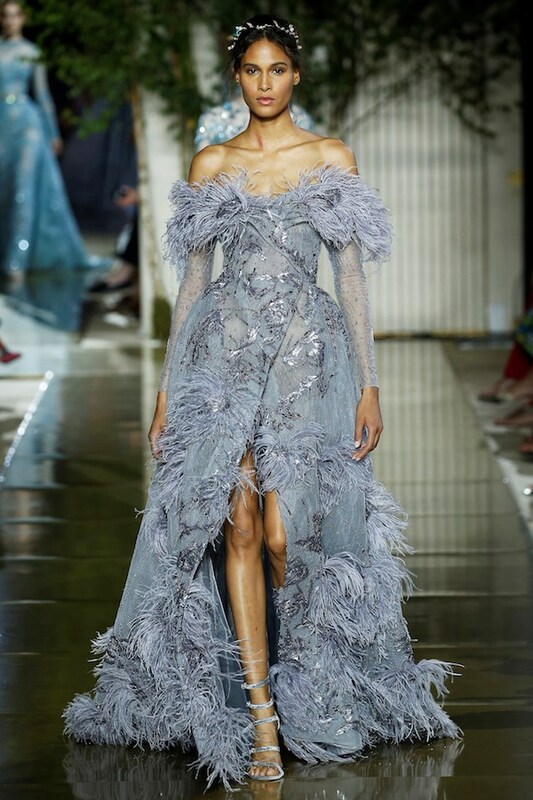 Translating to his opulent setting, a golden runway led to soft foliage under crystal chandeliers basking his collection in the perfect atmosphere and transporting us to exactly where we were meant to be.